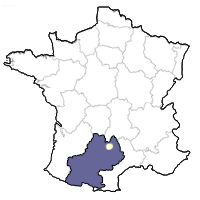 Red wine is predominant product of Marcillac, although rosé is also allowed within the AOC. The king of grapes is the Mansois, also known in other areas of the southwest as Fer Servadou or Braucol. This grape must be used in at least 80% of all Marcillac wines. Other grapes allowed include Cabernet Sauvignon, Cabernet Franc, Gamay, Merlot, Jurançon Noir, and the nearly extinct Mouyssaguès. Mansois gives the region its identity and its wine an individual and distinctive taste. 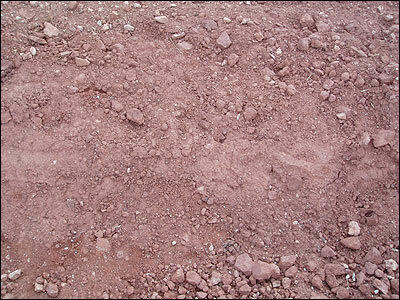 Its rootstock is entrenched within red clay soils that are rich in iron oxide locally called rougiers. Mixed in are small amounts of limestone and schist. In Madiran and Brulhois, Mansois produces a rather heavy, rustic wine that often gives support to the more noble varietals. In Marcillac, however, it normally produces a lighter wine with good color and hints of raspberry fruit. What sets Mansois off, though, is its perfume of ground red pepper and spice — often paprika. It makes for a highly enjoyable and memorable mouthful of wine. Wines from Marcillac are drinkable on release, and will normally age gracefully for three to five years.